Boy it seems like I cant keep up with the cards I need lately. I need to get a stock pile ahead this winter I think. It would certainly be shameful for me to send a store bought card with this room full of paper and stamps. lol I guess I've been spending all my time outside enjoying the nice weather, knowing there will but plenty of cold wintery days ahead for inside card making. Speaking of nice days. We actually got to spend a nice evening out on the new deck. 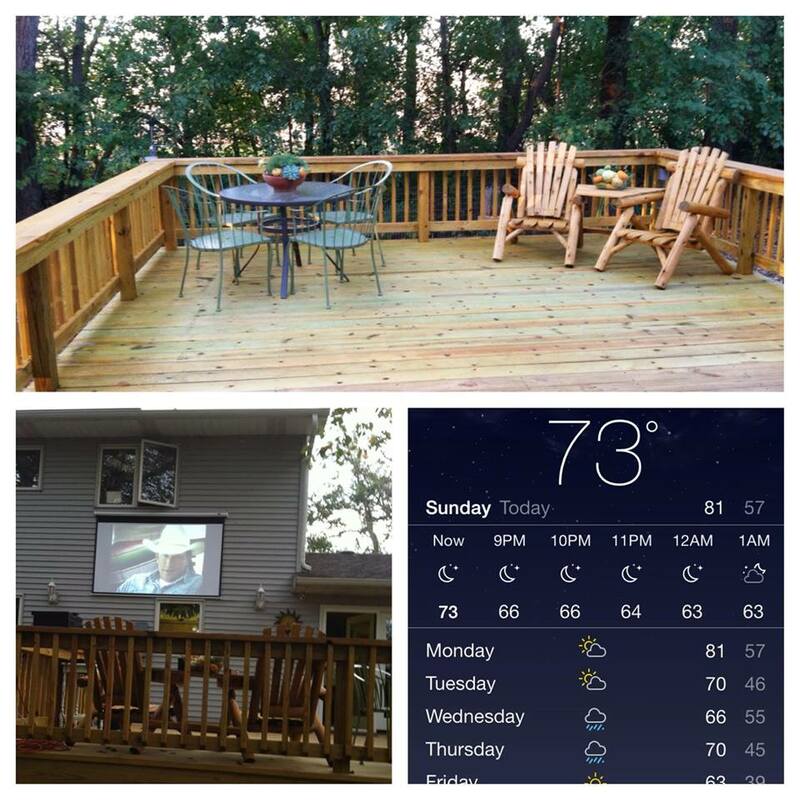 We grilled and watched a movie on the new screen Wes gave Dan for fathers day. It was a PERFECT night for it. Yesterday the weather cooled off substantially, so I'm glad we got that chance to be out and enough the deck, since for the most part we'll have to wait until next Summer. Daisy must have been chilly or something? 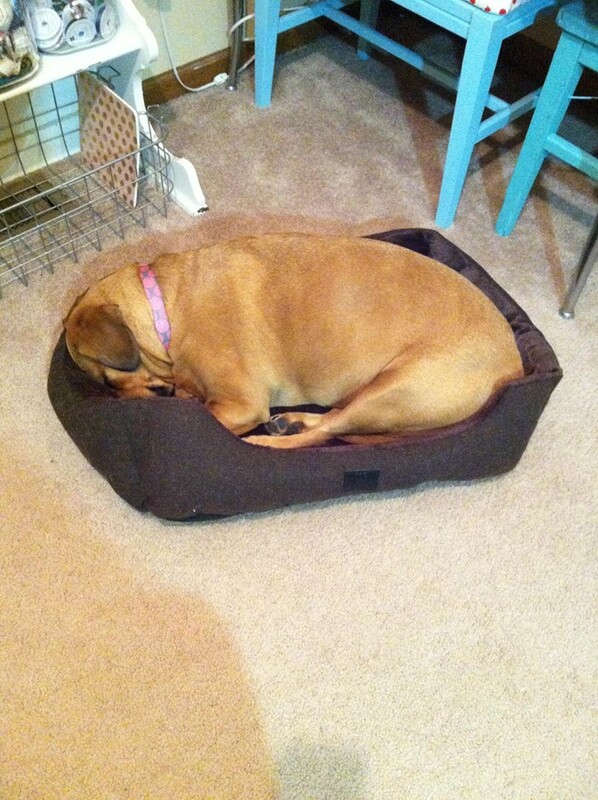 Why bother sleeping in her own bed .. that is actually her SIZE. lol I guess she likes Lily's bed better. I've been baking these since the kids were little. MANY times! I always take them out of the oven before they are really brown, so they are soft and chewy. Hoping it's been a good week for all of you. Hang on the weekend is coming! 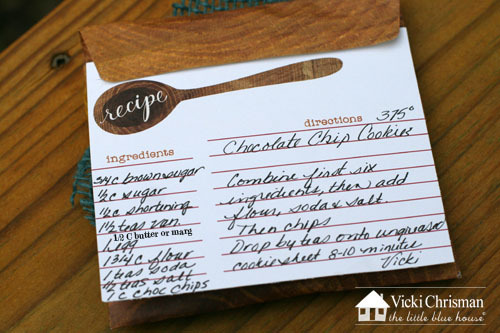 I do have a question on your yummy looking cookies what shortening do you use for them? Hugs and blessing to you! Lana, I'm so glad you asked me about the shortening. As I went back and looked at the recipe, I realized I had missed something. Even tho I thought I had double checked it multiple times :( It is 1/2 cup Shortening AND also 1/2 cup marg or butter. For shortening I use Crisco. I've edited the recipe on my blog. I'm so sorry if anyone tried baking them before I got it edited! Thank you so much Vicki for the answer about the shortening!!!! 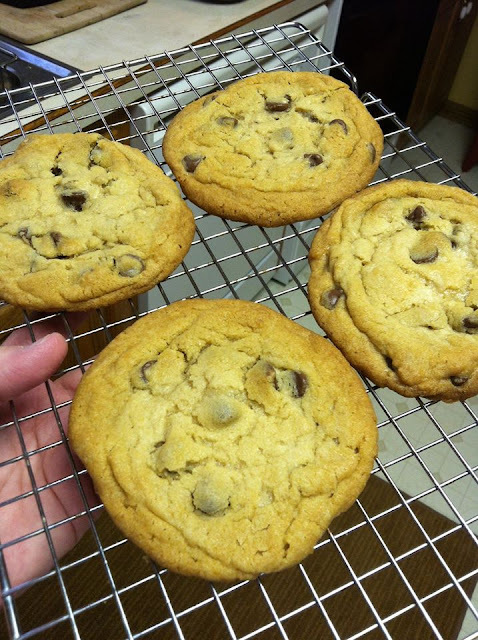 I look forward to making them after grocery shopping later this week yum I can almost taste and smell them baking LOL!!!!! !